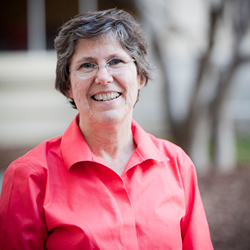 Jennifer Foster PhD MPH CNM FACNM, clinical associate professor, received a Fulbright Award to further her training and research efforts with the Midwifery School at the University of Chile. The school is home to the Midwifery Collaboration Center for the Americas, sponsored by the World Health Organization and the Pan American Health Organization. For the past several years, Foster has partnered with community health workers and nurses in the Dominican Republic to improve maternal and newborn survival rates. Carolyn Clevenger 02MN DNP RN GNP-BC and Suzanne Staebler DNP APRN NNP-BC, both clinical associate professors, were inducted as fellows of the American Association of Nurse Practitioners. Clevenger is a geriatric nurse practitioner who leads education and practice programs at the School of Nursing and its clinical affiliate, the Atlanta Veterans Affairs Medical Center. Staebler is a neonatal nurse practitioner committed to advancing her field through education and national leadership. She recently was tapped to participate in the 2015 Faculty Policy Intensive Program sponsored by the American Association of Colleges of Nursing. Global health expert Elizabeth Downes 04MPH DNP RN CNE FAANP is a fellow of the National League for Nursing’s Academy of Nursing Education. Downes is a clinical associate professor and part-time family nurse practitioner for Minute Clinic. She works with nursing students to serve the local refugee community and is an academic consultant to the Carter Center’s Mental Health Program in Liberia. Nursing professors Elizabeth Corwin PhD RN FAAN and Bonnie Jennings PhD RN FAAN were honored recently by the Southern Nursing Research Society (SNRS). Corwin, also associate dean for research, received the 2015 Distinguished Researcher Award for her studies of postpartum depression and symptom science. Jennings received the inaugural Research in Nursing & Health Authorship Award for her article, “Turning Over Patient Turnover: An Ethnographic Study of Admissions, Discharges, and Transfers,” published in the SNRS journal Research in Nursing & Health.